Hello everybody. Carson here. It's a busy week so I'm going to be taking the day off. But good news. Commenter and site regular, Christian Savage, will be taking over the reviewing reins today. And I say "reins" quite literally cause we got ourselves a good ole fashioned Western on our hands. Or a good current day Western on our hands. Or a Western, but set in today's time, movie, on our hands. Aw screw it. You get what I'm saying. This is Christian's first time in the review chair so be nice to him! About: Big Hole was a very high ranking script on the 2008 Black List (finishing fourth behind The Beaver, The Oranges, and Butter – all of which were produced). Afterwards, Pirates Of The Caribbean director Gore Verbenski attached himself to the project. However, it’s unclear where the project now stands and if Verbenski is still attached. Writer Michael Gilio has spent most of his life as an actor, appearing in a lot of TV, such as Chicago Hope and CSI: NY. He wrote and directed his first feature, titled “Kwik Stop,” back in 2001. Details: 124 pages - undated (This is an early draft of the script. The situations, characters, and plot may change significantly by the time the film is released. This is not a definitive statement about the project, but rather an analysis of this unique draft as it pertains to the craft of screenwriting). It’s hard to get a western made, no matter if it’s set in modern times. It’s even harder when the hero is closer to a hundred years old than he is to fifty. 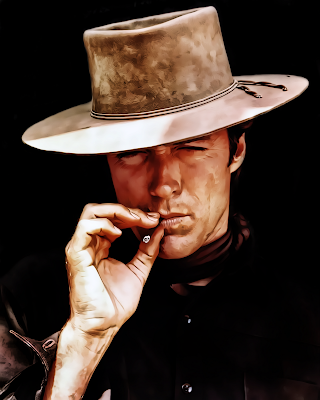 And while this script wasn’t written for Clint Eastwood, he’s the only brand name I can think of who fits the age and curmudgeonly attitude of the protagonist with ease. The trouble is that he’s gone on record saying he has no plans of starring in another movie. Those are some major setbacks to overcome. But, this script is so good that it’s getting made anyway. At least, the last I heard Gore Verbinski was attached to direct. I hope that’s still the case, because Big Hole is terrific and deserves to be seen. It begins, as any good story should – with a desperate man at the end of his rope. Francis Lee, Sr. is tired, broken, and searching for a miracle. For the past 78 years, he’s tried living the best he could, serving his country as a Marine in World War II, and then working as a rancher on his 51,000-acre property in Glass Valley, Montana. Lee has wanted so badly to be the model of a good man, untarnished by regret. But, the faded tapestry of his life has been shorn to pieces, with the twin blades of bad luck and poor judgment. After years of terrible eating habits, he needs to take several pills a day, to fight the effects of heart disease and diabetes. The medical bills alone swing like a wrecking ball through his savings. His dead wife, Patty, haunts his dreams, leaving him gasping and trembling in the dark. A chasm of bitterness separates Lee and his son, and by extension, the granddaughter he’s not allowed to know. The only day Lee looks forward to anymore is the first of each month, when his tough Indian caretaker, Maya, drives him downtown to get a haircut, buy groceries, and have a meal at the local diner. Lee is stuck, angry, and longing for a change. So, he fills out a sweepstakes entry form he gets in the mail: You could win a million dollars! Hey, if it could happen to anyone, why not him? Time passes and he forgets about the contest, until he receives a phone call one night. The caller makes sure Lee is sitting down, because he’s about to get a big shock. He’s just won a million dollars. That’s right, a million dollars. In that moment, decades of despair melt away. He cries tears of relief and gratitude. The caller, Jeffery Smith, becomes Lee’s new best friend. His sudden and unexpected wealth puts Lee in a good mood, so he lets his guard down for the first time in recent memory. He talks to Jeffery about his wife, and the legendary fishing trip he had long ago with his son at Big Hole River. Fishing with his son was the greatest moment of his life, but winning that money is a serious contender. Lee is an intensely private man, so this intimate conversation with a stranger is a rare and touching experience for him. And, it’s a conversation that takes on a darker meaning in the days ahead. A month after Jeffery took his bank account information, Lee arrives in town and discovers he can’t pay for his groceries. He goes to his bank and learns that the $34,190 in his account, which had to last the rest of his life, is gone. He’s the latest victim of financial fraud. And, almost as hurtful, Lee revealed his true self to a man who took advantage of that trust. This is where Lee gets really mad. Man, this script is good. It’s not afraid to start with a slow burn. You get to know Lee very well, before he loses control. And the story moves with an almost biblical cadence, measured and graceful. It also pulls a pretty neat trick. There’s so much history between these people, but not one flashback is used. You find out who these people are through body language, photographs, the way they avoid talking about certain topics. I still don’t quite know how the author does it, but it’s incredible. I will say, though, that this lack of back story does make it a little hard to see why Lee and his son are at odds. I think I know why. The other thing that felt off to me was the cattle stampede that crushed the sheriff’s car. The sheriff knows Lee is going to show up at the bank headquarters to cause trouble. But instead of waiting for him there, he heads onto the plains nearby to question some ranchers who may have seen Lee. As a result, the sheriff misses Lee at the bank and gets caught in the stampede, which he caused himself by turning on his car siren. That scene feels like it was added more as a set piece for the trailer than to move the story forward. Not to mention, it immediately brings to mind the scene in City Slickers with Billy Crystal and the coffee grinder. It doesn’t match the rest of the script’s tone. But those are small complaints, since the story as a whole is lovingly crafted. Big Hole will probably be advertised as a revenge tale, but it’s about so much more than that. It’s a complex character study of an elderly man coping with how unnecessary he’s become, in a youth-obsessed culture that keeps pushing forward. It’s about a set of values – loyalty, a strong sense of home and duty, simple politeness – that now seems to be dying alongside a generation that tried to live by it. It’s about learning how much of your dignity you’ll let people steal, before you say, that’s enough. And then deciding how far across the line you’re willing to go to take your dignity back. And, perhaps most meaningful, to me, anyway, it shows how easy it is to lose your last chance to connect with loved ones, before they’re gone forever. This last theme broke through to me, because it reminds me of my grandfather. He was a year older than Lee when he died a few years back. He was a WWII veteran and raised a close family. Grandpa was so dapper and charming, like an aging movie star from the golden era. There’s nothing he enjoyed more than a good joke, and if you were lucky enough to make him laugh, you glowed inside. As soon as I was old enough to appreciate him, I loved him. In the early 2000s, he was diagnosed with pulmonary fibrosis, a lung disease acquired from smoking, even though he quit more than 30 years ago. At first, I didn’t notice any changes in him. He was still that handsome old man with the puckish smile and eyes that shined. But then, I started seeing him take a breath or two from an oxygen tank. Soon after, he needed to pull that tank around wherever he went. A few years later, he was so breathless he had to be pushed in a wheelchair every day. Knowing that time was running out, I told him I’d like to interview him soon, to get the fundamental truth of his life down on paper. Not just for the sake of posterity, but because I wanted to hear the stories he never would’ve told me as a kid. I wanted to know the dirty details of who my grandpa was, a man who lived, fought, cherished, and died on this planet. I got caught up in my own problems and, without even realizing it, the chance to have a real talk with my grandpa kept slipping further away. My sister called me in a panic one day in late September. I’d been at work with the phone off and had no idea what was happening. She told me if I wanted to say goodbye to grandpa, I better get to his house now, because he’s been dying all afternoon. When I walked through his front door, my family was huddled around my grandpa’s bed. I was so unprepared to see him. He struggled for each breath, as if it was the hardest thing he’d ever done. His back arched in terror, bed sheets clenched in his fists. He didn’t even seem to acknowledge anyone was in the room with him. The only thing that mattered was the next gulp of air. Oh, god, how I knew I’d never make him laugh again. Or do anything with him again. All I could do was say, I’m here with you, Grandpa. I’m here. I love you. I made a promise to myself that day that I wouldn’t miss that final talk with my own father. That’s what this script reminded of. I may be wrong, but I think the author intended Lee’s relationship with his son to be the point of this movie. It all goes back to the title. If Citizen Kane had been named after its emotional core, it would’ve been called Rosebud, instead. While he would never admit it, Lee wants nothing more than to return with his son to Big Hole, and recapture what it means to be at peace. But, as it happens too often in this life, we’re sometimes blind to the opportunities given to us. And there’s no going back. What I learned: I learned a couple things with this one. First, the western movie is a good template to follow, when you write a script in any genre. The plot is clean, simple, and from the gut, which gives you a lot of room to write meaty roles for the A-list. The other thing I learned is that every relationship we have has a certain level of importance. Strangers and acquaintances are low level, while family is high level. If you add one or two intense, high-level relationships to your script, it may elevate what is otherwise a low-concept idea. Think Adam’s Rib or Kramer vs. Kramer.